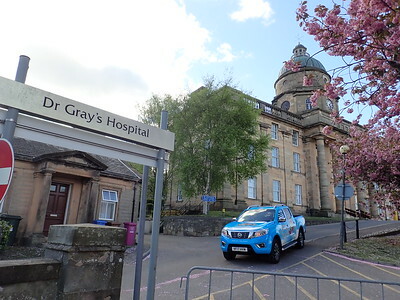 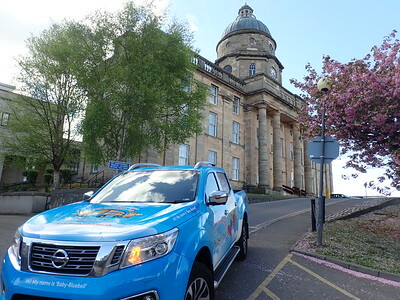 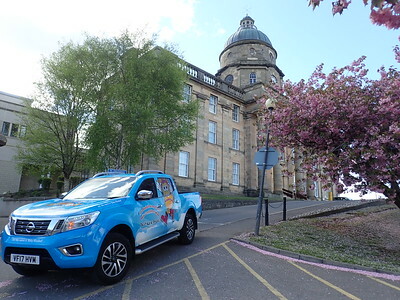 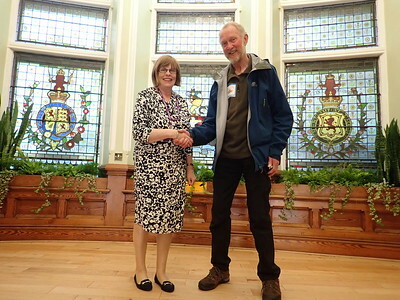 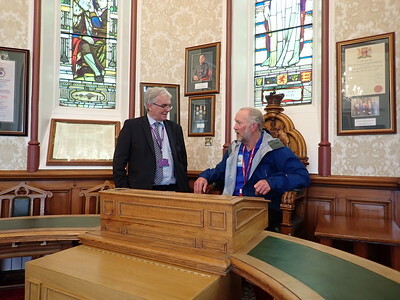 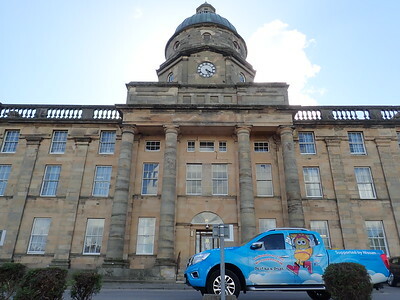 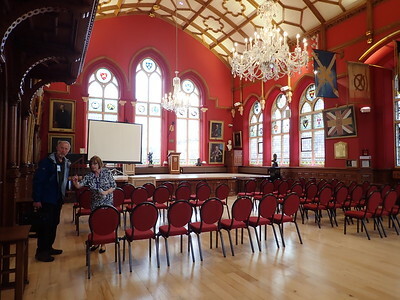 Brian Burnie with Councillor Richard Laird Inverness at the Town Hall to discuss the Daft as a Brush Cancer Patient Care charity! 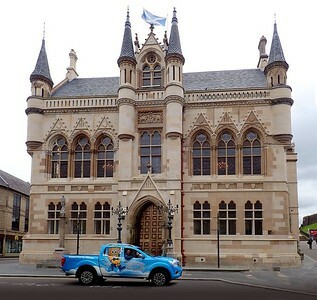 Brian and Baby Bluebell on their way! 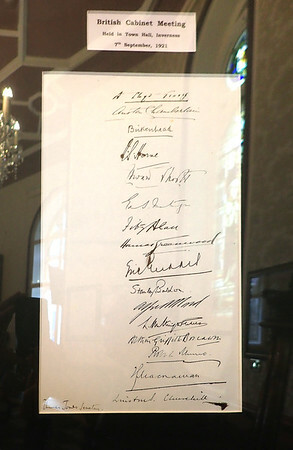 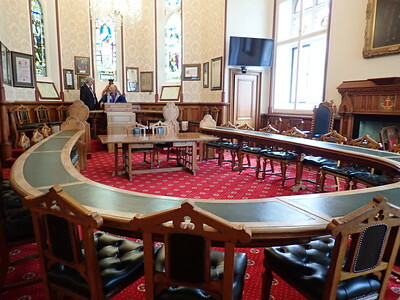 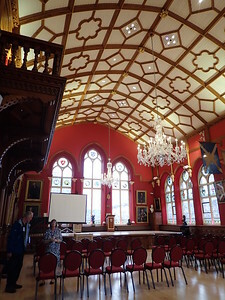 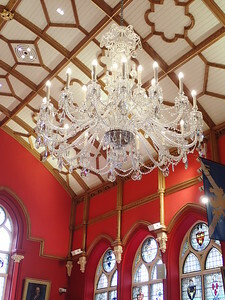 Council Chambers, where a British Cabinet Meeting held in 1921 shows Winston Churchill’s signature. 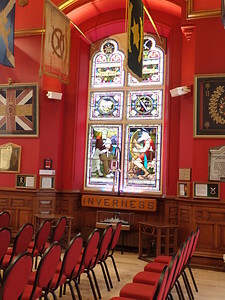 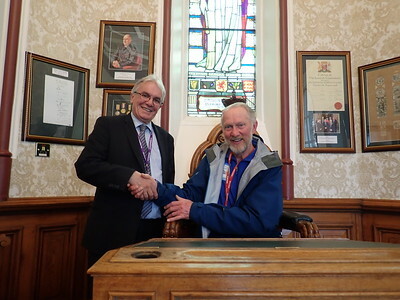 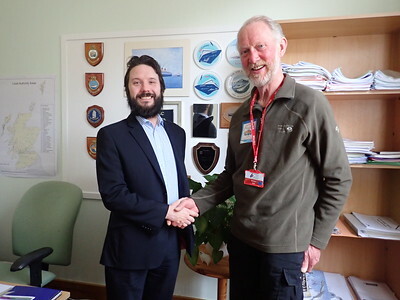 Brian meets with Councillor Graham Ross, Deputy Provost Inverness.